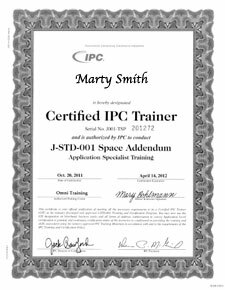 Purpose: J-STD-001ES (an addendum to J-STD-001E) provides requirements to ensure the reliability of soldered electronic assemblies that must survive the vibration and thermal cycle environments getting to and operating in space. J-STD-001ES is not a standalone module; it in fact is part of J-STD-001E and cannot be used with any previous versions of J-STD-001. 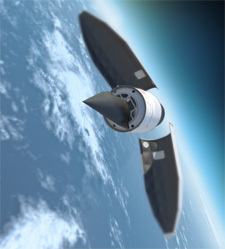 Space electronics hardware will be exposed to rigorous thermal cycles and intense vibration during acceptance and/or qualification testing, as well as during launch and mission life. A major concern for space electronics is tin whiskers. 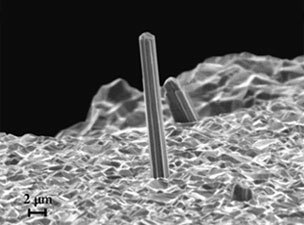 Tin whiskers are electrically conductive, crystalline structures of tin that sometimes grow from surfaces where tin (especially electroplated tin) is used as a final finish. Tin whiskers have been observed to grow to lengths of several millimeters (mm) and in rare instances to lengths in excess of 10 mm. Numerous electronic system failures have been attributed to short circuits caused by tin whiskers that bridge closely-spaced circuit elements maintained at different electrical potentials. 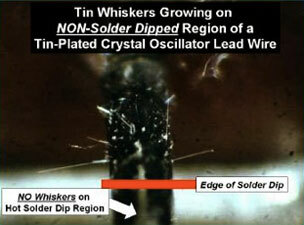 The presence of lead in solder greatly reduces the growth of tin whiskers. For this Addendum, lead-free tin is defined as tin containing less than 3 percent lead by weight as an alloying constituent. According to J-STD-001 ES the following shall be prohibited unless documented and controlled through a User approved Lead Free Control Plan (LFCP). Components and sub-assemblies identified as having lead-free tin surfaces shall be protected by at least two process techniques to reduce or eliminate the risks created by metallic whisker formation in the expected end-use application/environment. Another concern in space electronics is Red Plague – a common term for cuprous or cupric oxide corrosion. It can occur in silver-coated soft or annealed copper conductors, such as component leads, single and multi-stranded wires and PCB conductors. It can develop between the copper base metal and the silver coating in the presence of moisture (H2O) and oxygen (O2). The use of silver-coated copper conductors shall require the implementation of a User-approved Red Plague Control Plan. Solder: Solder alloys shall be Sn60Pb40, Sn62Pb36Ag2, Sn63Pb37, or Sn96.3Ag3.7. To minimize the possibility of gold embrittlement, gold shall be removed from at least 95% of the surface to be soldered of all component leads, component terminations, and solder terminals. Staking or epoxy bonding of components to the printed circuit board shall be identified on the assembly drawing. Some component packages should always be staked (e.g., axial leaded solid-slug tantalum capacitors).